A classic block heel with an unexpected twist. 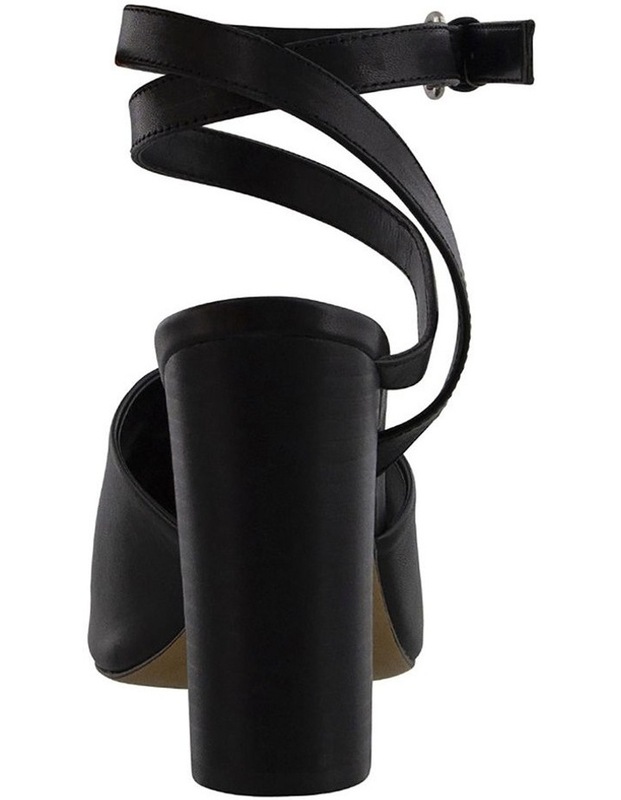 The Tony Bianco Kameo block heels in a smooth black leather is designed with an open toe front, thick strap across the front and a halter style ankle strap with circular silver-toned buckle. Wear yours with jeans or dress it up with a maxi dress this summer.